Preventing “self-evolution” and “self-transformation” represents a vital task today, especially at military training institutions. This must be done regularly by means of suitable solutions. “Self-evolution” and “self-transformation” within the Party refer to degradation and change of political viewpoints and guidelines of part of cadres and party members from one extreme to another. This will have extremely dangerous consequences since it is only a short step, even a very short, dangerous and unexpected one, which potentially cause them to join hands with or collude with the bad and hostile forces to betray ideas and revolutionary cause of our Party and people; sabotage the Party’s unity, unification, ideological foundation, platforms, and guidelines; and make the Party rotten from inside, resulting in regime transformation. “Self-evolution” and “self-transformation” are first manifested through fluctuation in political ideology, skepticism about the Party’s leading role, and scientism of Marxism-Leninism, Ho Chi Minh’s thought and the road to socialism of our people. These manifestations are followed by activities to join hands with hostile forces operating in foreign countries to sabotage the revolution in Vietnam. At a higher level, “self-evolution” and “self-transformation” are clearly exposed through reactionary and hostile ideologies; defiance of law and political system; development and dissemination of “open letters,” “letters of recommendation,” and “petitions”; foundation of independent “associations” and “unions,” political organizations opposed to the Party and political system in Vietnam, and so forth. “Self-evolution” and “self-transformation” may take place right within the Party and society, including cadets at military academies, colleges and schools, because these are a young force, elite youths, young intellectuals full of enthusiasm and future military cadres and officers. The selection, training and working processes at military institutions have helped to equip these people with political spirit and belief and sound learning motives, making them continually loyal to Marxism-Leninism, Ho Chi Minh’s thought, the Party’s guidelines, the State’s policies and law, and objectives and the road to socialism, which have been chosen by the Party, Uncle Ho and our people. At the same time, they have always shown activeness and proactiveness in their study, jobs and scientific research; dynamics, sensitivity and rapid acquisition and adaptation to new things; enthusiasm, self-motivation, and so on. Nevertheless, as a result of their immaturity, insufficient experience, limited constraint and ability to resist the temptation, etc., they become subjects that the hostile forces attempt to “embroil” and propagandize false concepts with a view to creating intended transformation in their perception, thought and actions. Consequently, combating “self-evolution” and “self-transformation” within military cadets is of vital importance to the development of military cadres in particular and Vietnam’s People’s Army (VPA) in general. This represents a complex process, which must be closely aligned with education and training at military institutions and the cadets’ self-education and training. First, ceaselessly enhancing military cadets’ awareness of Marxism-Leninism, Ho Chi Minh’s thought, the Party’s guidelines, and the State’s policies and law. This measure is of significant importance, especially to cadets majoring in military technique, since a small part of military cadets might underestimate political subjects. This problem is likely to result in one-sided, insufficient or even false perception of the hostile forces’ sabotage. Thus, military academies, colleges and schools need to work out plans to improve cadets’ political knowledge annually and provide them with new information and knowledge suitable for each subject through various methods. Only a firm grasp of theory and practice can the military cadets improve their vigilance and “immunity” from the hostile forces’ sabotage, distortion and embroilment. These methods also serve as foundations for struggling and rejecting false concepts in an objective and scientific manner, timely exposing and defeating the hostile forces’ plots and ruses to sabotage Vietnamese revolution, particularly in ideological and theoretical realms. Second, continually paying attention to the development of cadets’ quality and competence to meet the demand of tasks. Doing so requires military institutions to keep innovating content and methodologies employed for teaching and learning political theory in association with practical application, aligning theory with practice, strengthening examination and management of teaching and learning quality, and proactively grasping the cadets’ ideological developments to set out policies and measures to timely and effectively deal with these developments and prevent contingencies. Apart from political and ideological dimensions, military institutions should attach importance to education and training of military cadets in moral terms. It is necessary to continue to seriously and effectively implement the Politburo’s Directive 05-CT/TW (Tenure XII), the Central Military Commission’s Standing Committee’s Directive 87-CT/QUTW on “Acceleration of studying and following Ho Chi Minh’s thought, morality and lifestyle in the VPA Party Committee and the whole VPA,” and the campaign “Promoting tradition, devoting talent, deserving to be Uncle Ho’s soldiers,” with a focus on developing a standardized system of relations between military cadets -revolutionary military personnel and their commanders, colleagues and people. 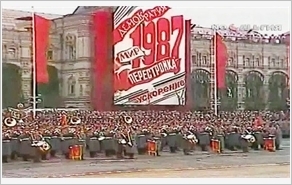 Every year, military cadets must give pledges to train, uphold their dignity and lifestyle, and avoid degradation in political ideology, morality, and lifestyle and “self-evolution” and “self-transformation.” The party executive committees, commanders and party organizations have to regularly inspect and supervise the cadets’ execution, thereby cultivating cadets of firm political spirit, untarnished revolutionary morality, sensible political thinking and views, and ability to propose and effectively carry out ideological and theoretical work in current situation. Third, paying attention to establishing, strengthening and firmly upholding the cadets’ faith in the Party’s revolutionary cause. To develop the cadets’ confidence, there is a need to make them well aware of the soundness of the revolutionary road chosen by our Party, Uncle Ho and people. First, it is necessary to build and consolidate the cadets’ belief in the cause that each of them has chosen, and in cadres and lecturers working at military academies, colleges and schools. At the same time, these military institutions should ceaselessly carry out comprehensive innovation in content, forms and methods of propaganda, education and coordination of social and cultural activities because confidence has to be developed from the most fundamental and closest things to every cadet, making them believe in the bright future of the selected road. That is demonstrated in the daily life and living, studying and working environment of each person. That is the unshakable confidence, conversion and the most convincing example for the military cadets to learn, train and follow. Fourth, establishing a healthy education environment. We all know that the living environment has a direct influence on shaping and fostering cadets’ dignity. Therefore, military institutions need to establish a healthy pedagogic environment; attach the development of an education environment to good order and discipline and strict maintenance of regulations and rules set out by the VPA, schools, units, and so forth. It is important to realize democratization through Days of Politics, Culture and Spirit; enhance unity and unification regarding politics and ideology, and good virtues and lifestyle; overcome and prevent “self-evolution,” “self-transformation,” etc., while perfecting regulations on cadets’ expression; seriously dealing with individuals committing wrongdoing; creating forums for exchange and dialogue about different perception and viewpoints to timely settle and guide the cadets’ ideology. There is a need to keep innovating content and forms to improve the quality of activities, self-criticism and criticism; overcome indulgence, avoidance and fearfulness of struggle; protect those who are straightforward and honest and dare struggle with manifestations of “self-evolution” and “self-transformation”; and better regulations on assessment of military cadets in an appropriate and scientific manner. Fifth, fostering and developing forces dedicated to struggling and criticizing false, hostile perspectives. Military institutions continue to pay attention to and make proper investments in lecturers, researchers in the field of social science and military humanities, and officers in charge of military cadet management. They should regularly organize scientific workshops on preventing and combating “self-evolution” and “self-transformation”; select and treat properly cadres and military officers capable of conducting theoretical studies; and attach importance to training to gradually give rise to scientists, who work in the field of social science and military humanities; possess political, ideological and moral qualities, theoretical thinking, creativity, dynamics, intelligence and courage to defend and expand Marxism-Leninism and Ho Chi Minh’s thought, and struggle on the ideological, theoretical front. First of all, it is necessary to propagandize and instruct military cadets how to write reports and articles on struggling against false, hostile viewpoints; update information; understand and write articles to oppose false, hostile viewpoints on the ideological-cultural front; and publish these reports and articles on web portals (if available), through internal radio programs of military institutions, in cyberspace, on mass media, and so forth. The effective implementation of the aforementioned solutions will make contribution to nurturing a generation of young officers, who possess firm political spirit, sound learning motives, sensible theory, courage and experience in the fight against false, hostile viewpoints, “self-evolution” and “self-transformation” in any complex situations.